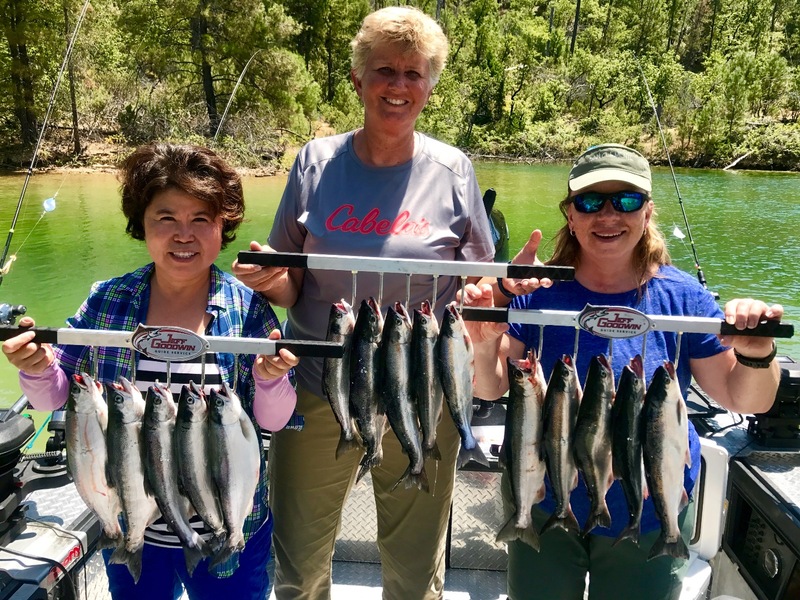 Today I fished Whiskeytown Lake with three great ladies from Utah who love to fish! 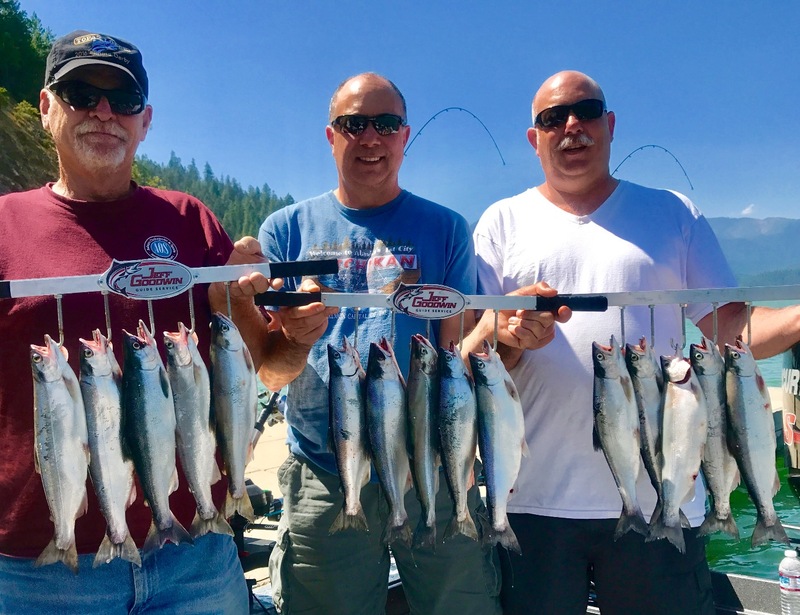 This group was a ton of fun and catching limits of Kokanee salmon was just what we needed to top off a perfect day on the water. The winds blew everyone off the cold water curtain early, but there were plenty of Kokanee stacked at the 299 bridge. Fishing down to 55' feet with pink baits and some with orange did the trick! I have both Saturday and Sunday available to fish Shasta, Whiskeytown, or Trinity Lake so get in touch if you would like to catch some salmon or trout on the lakes! Trinity Lake Kokanee bite still on!